About a year and a half ago my now-first grade daughter said she wanted to submit a joke to Junie B. Jones. Say what? Who?! That’s when I had to figure out who this Junie person was and where to submit a joke to her and it was the start of a beautiful friendship with the spunky little girl written perfectly by author Barbara Park (1947-2013). Park’s children’s books were not unknown to me, in fact I read and loved her books Operation: Dump the Chump (1982) and Skinnybones (1982) when I was younger, but somehow I missed the Junie B. Jones book phenomena since the first book was published when I was almost in high school. I wasn’t reading books about soon to be six-year old kindergartners as a teenager so I happened to be introduced to her more recently by my very own daughter who was around Junie’s age. Long story short, I submitted Brooke’s joke to the Junie B. Jones website and she won the entire set of Junie B. Jones books that capture her years in kindergarten (17 books total) and first grade (11 books total). It was exciting! Ever since then I have been a member of the Junie B. Jones fan club on Brooke’s behalf and we get frequent updates on all things Junie. Brooke and I learned there is a musical based on Junie B. Jones and we learned about it after it was already performed at the Boyd Vance Theater (inside George Washington Carver Museum) in 2015 in Austin, so we haven’t seen it – YET. If you read my blog you know my family and I frequent several Austin, Texas theaters that have productions for families (notably the ZACH Theatre) and we love watching musicals based on our favorite books. We are hoping that the show returns to Austin soon, so as we are waiting to see Junie B. Jones The Musical, we are now able to do the next best thing; which is hear the music from the now released album of the musical. It’s fun, it’s spunky, it’s totally JUNIE and if you share our passion of children’s books and musicals, this is the perfect album for a Junie B. Jones- loving family. This album will get you pumped up to see the musical or to be able to bring home the musical with you! 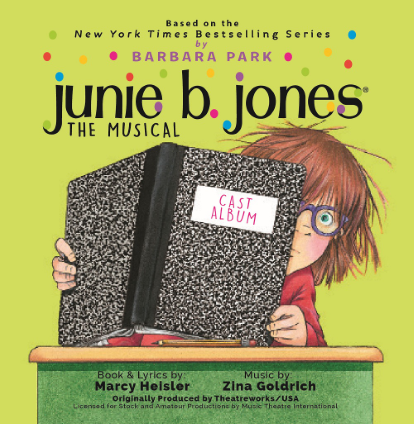 Junie B. Jones The Musical Cast Album is a first-ever recording of the hit musical for families by the award-winning songwriting team of Zina Goldrich & Marcy Heisler. Join the beloved Junie B. Jones and a quirky, wonderful cast of characters as they sing and dance their way through this original family musical. It’s a new school year, with a whole lot of adventures in store. New friends, new glasses, singing lunch ladies, bossy classmates, kickball tournaments, and juggling biscuits are just the beginning of the lessons learned — much more than what fits on the chalkboard or could fill a “Top-Secret Personal Beeswax” journal. Junie B. Jones The Musical Cast Album is tuneful, first grade fun for all ages brought to life in a genuinely comical (and not strictly-for-kids) production. Album highlights include the driving rhythms of the rousing, can’t-keep-from-dancing opening number, “Top Secret Personal Beeswax,” and the show’s heartfelt, literary wrap-up showpiece, “Writing Down the Story of My Life.” “Gladys Gutzman, Queen of Snacks” celebrates in true Broadway style the bestest lunch lady ever, and “When Life Gives You Lemons” features a harmonic trio amidst lyrical parental advice. Also memorable are “Now I See,” a gospel-infused homage to Junie B’s new purple glasses, “Lunch Box,” with more than a hint of Motown sound, and “Lucille, Camille, Chenille,” which recalls the rhythms and harmonies of the sixties. Music Theatre International licenses Junie B. Jones The Musical for production throughout the world. A synopsis of the show can be found on the MTI website HERE. Junie B. Jones JR., a 60-minute Broadway Junior™ musical adaptation perfect for performance by middle school students, will be released in Spring 2017. Author/lyricist Marcy Heisler and composer Zina Goldrich have been writing, performing, and teaching together since 1993. Their work has been nominated for Drama Desk, Lucille Lortel, and Helen Hayes Awards, and they were recipients of the Fred Ebb Musical Theatre Award for Outstanding Songwriting. Other awards between them include the Richard Rodgers New Horizons Award, Mary Rodgers/Lorenz Hart Award, and the Kleban Prize for Outstanding Lyrics for Heisler. Writing credits include the musical adaptation of Ever After (Paper Mill Playhouse), the licensed family musicals Junie B. Jones, Snow White, Rose Red (and Fred), and Dear Edwina, and the currently touring Junie B’s Essential Survival Guide to School (Theatreworks USA). The team also provided scores for The Great American Mousical (based on the bestselling book by Julie Andrews) and Hollywood Romance (Scott Sanders Productions) and is currently developing a romantic comedy with Universal Stage Productions. Their TV/animation work includes projects for many Disney divisions, PBS, Netflix, and others. They are the authors of The Songs of Goldrich and Heisler, published by Hal Leonard, and Marcy and Zina: The Album on the Yellow Sound Label. As performers they tour the country with The Marcy and Zina Show. They are proud members of ASCAP, The Dramatists Guild of America, and the National Recording Academy of Arts and Sciences. Both make their home in New York City. Free Downloadables at the Junie B. Jones website! To help your kids keep track of where they are in these books, you might want to download these Junie B. Jones bookmarks (aka the best placeholders ever!). 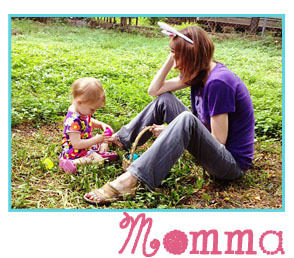 For a Junie B. Spelling B. and other activities and games, go to juniebjones.com. In addition, educators’ guides for the entire series are available to download at juniebjones.com/teachers. List Price: $ 9.99 Junie B. Jones The Musical Cast Album will be available at all digital retailers (iTunes, Amazon, and more) and all streaming services (Spotify, Pandor, and more).